The animation below illustrates the iteration procedure used to obtain the agreement. 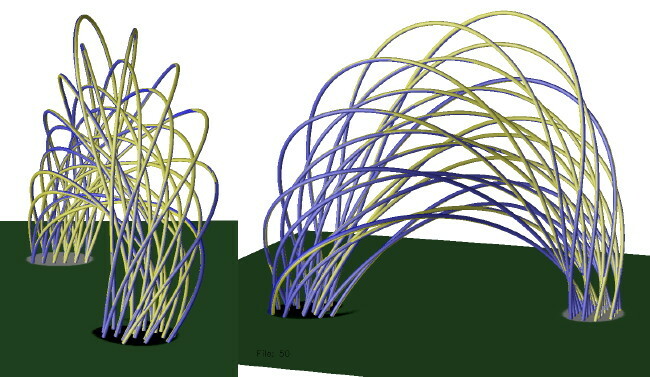 Solar modelling: Nonlinear force-free fields provide simple models for magnetic fields in the Sun's corona (a thin, hot, ionised gas above the Sun's surface). These fields are the source of energy for solar flares, which are magnetic explosions in the corona. Large flares produce effects on Earth and in our local space enviroment. They can lead to increased numbers of accelerated particles which cause damage to satellite electronics, and may pose radiation risks to astronauts and commercial passengers on polar flights. 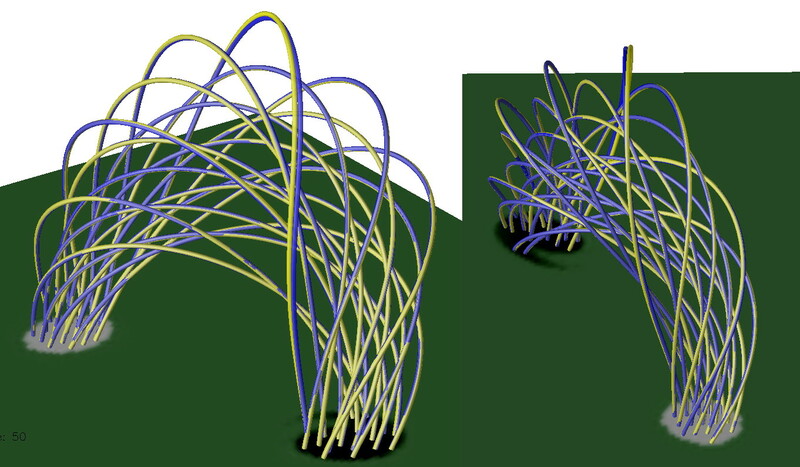 There is considerable interest in applying nonlinear force-free modelling to determinations of the Sun's magnetic field at the surface of the Sun (the solar photosphere), to "reconstruct" the magnetic field in the corona. The aim is to better understand physical processes underlying flares. Recent work: The image at right shows an example of a recent coronal field reconstruction from solar photospheric data, performed by A/Prof. Mike Wheatland and the University of Sydney as part of an international collaboration aimed at improving coronal magnetic field modelling capabilities. The state-of-the-art data used is from the Japanese Hinode satellite. 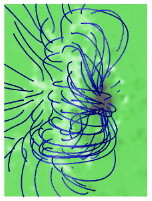 This image shows a reconstruction of magnetic field lines in a large "active region" on the Sun (a region around sunspots), observed during April 2007. Clicking on the image provides more information on the calculation, including comparisons of the calculated field with observed structures in the solar corona. Magnetic field reconstruction for AR 10953.